Can you make a career out of being obsessed with yourself and your DNA? In the Navy - sure you can. ... from the age of 12 was raised in a single family household. His mother, a blue-collar worker, made it through economic and personal hardships to nurture and provide her two sons with a humble, but financially stable household. She always encouraged both of her sons to strive further in their education and her greatest accomplishment has been to see both her sons graduate college with engineering degrees. (he) graduated from high school in 1992 and was the first person to attend college on his mother’s side. You are really stretching hard there. Of course - as you know that the Navy rewards those who have a racist .... oh, I'm sorry ... sectarian world view - make sure and focus so much of your attention on YOUR race (not your Sailors, not your Shipmates, not your Ship). I wonder if he is aware how this looks from the outside? Does he care? Not any MIDN, of course. After all - in the fleet Sailors love it when an officer focuses on other Sailors who happen to be of the same ethnicity (self-described) as they are. They love preferential treatment of others based on race, creed, color, and national origin. USNA must be very happy it teaches those superior leadership skills to its future officers. Take it to the Fleet and then back! (he) served as a Field Diversity Admission Counselor for the U.S. Naval Academy from 2004 – 2006. He spent long hours on and off duty to develop relationships between the Naval Academy and Hispanic Organizations and contributed numerous community service hours for the betterment of the Hispanic Community. Driven by his passion, (he) was hand selected to be the first diversity officer for the Navy Cyber Forces Domain. As the Force Wide Diversity Officer, ... in less than one year has successfully implemented the first Navy Cyber Forces holistic diversity strategy that integrates national and regional outreach, community service, mentorship, diversity training, and strategic communication in support of the Navy’s and Navy Cyber Forces Diversity Policy. (he) has been involved in various national, regional, and local non-profit organizations. He provides opportunity where there is none and encourages men and women to excel. He also motivates his colleagues to volunteer and donate their time, as it is everyone’s responsibility to give back to their communities. Not give back to their nation. Not back to their Navy. No, he has learned from the Navy well. Focus on your self-identified ethnicity. Act no different than a member of the KKK. Race first and always. Treat your Shipmates and Sailors differently in your action and attentions based on their race as compared to your own. What a winning attitude. Just because this might be helpful to you taxpayers out there. Here we have a LCDR who graduated from USNA in 1997. Almost 14 years ago. In that time - it looks like he has been on Sea Duty ... 3 years. Maybe he did an IA - I don't think so. Fairly detailed CV and nothing mentioned. So, there you go. The Navy's little corner of the Diversity Industry. Your tax dollars at work. Foridians in Congress sounded elated about Tuesday's Government Accounting Office report declaring the region's ship repair companies certified and capable of handling much of the maintenance required to keep a Jacksonville-based carrier sailing. U.S. Rep. Ander Crenshaw, R-Fla., issued a statement lauding the report and boasting about capabilities of Northeast Florida's maritime maintenance industry. U.S. Sen. Bill Nelson, D-Fla., said it all but ends political challenges to basing a nuclear-powered carrier at Mayport Naval Station. 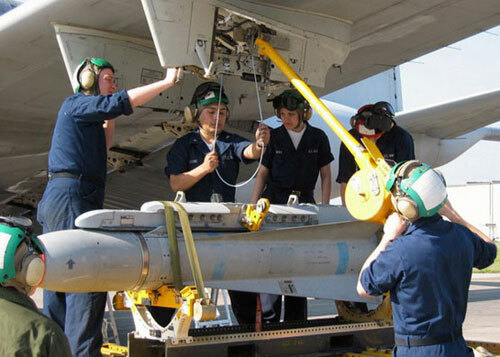 "The bottom line is all systems are go - Mayport has a nuclear carrier coming," Nelson told The Times-Union. There is a sober note ... one that again comes from the Lost Decade under the leadership of Clark, Mullen, and Roughead. But officials in the ship repair industry were focused on a different bottom line. They expressed concern about how companies will retain a large enough workforce amidst the ongoing decommissioning of Mayport's aging - but numerous - fleet of guided missile frigates. The soonest a carrier is expected to move to Mayport is 2019, while 12 of the base's 13 frigates will disappear by 2015, according to the report. "I think it's a pretty worrisome time for ship repair contractors and anybody who relies on the base for work," said Joe O'Conor, general manager of Earl Industries, one of the three major firms that repair Mayport-based warships. Even the report raised questions about how those companies and dozens of smaller contractors will fare until the carrier arrives. It said the Navy has considered a number of mitigation efforts, including temporarily moving maintenance work or ships to Jacksonville. The Navy also is expected to announce that it will base some of its new class of littoral combat ships and possibly some new guided missile destroyers at Mayport. "More important than just a carrier - which is very important - is how do we get other ships into the Mayport basin?" said J. Michael McGrath, executive director of the Jacksonville Area Ship Repair Association. Well, if LCS-1 is any guide, there may be some welding work to be done. Good for Mayport - good for Strategic Homeporting - good for the Navy. 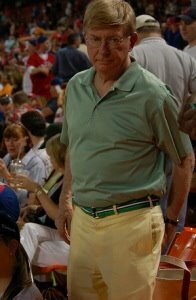 Did de Tocqueville play basketball? As we watch the power in Egypt's revolution slide - as I warned you about - towards the Islamist Muslim Brotherhood - we should all think carefully about what SACEUR, Admiral Stavridis, USN has to say as reported by the Washington Examiner. 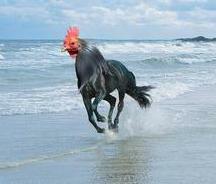 ... if you are still feeling OK about it though, leaven it with this. Can we call it something else now? It is just silly to call this a no-fly zone anymore. A U.S. Navy P-3C Maritime Patrol aircraft, a U.S. Air Force A-10 Thunderbolt attack aircraft and guided-missile destroyer USS Barry (DDG-52) engaged Libyan Coast Guard vessel Vittoria and two smaller crafts after confirmed reports that Vittoria and accompanying craft were firing indiscriminately at merchant vessels in the port of Misratah, Libya, during the evening March 28, 2011. Two small crafts were fired upon by an A-10 using its 30mm GAU-8/ Avenger Gatling cannon, destroying one and forcing the other to be abandoned. When you have a P-3C putting AGM-65F into Coast Guard boat and A-10 chewing up the coastline ... it is just silly to call it a no-fly zone. This is a war, full and simple. We are covering the Air & Sea - some Libyan tribes the Land ... but we are a player in this civil war. To call it anything else is to just feed cynicism and the public's habit of not believing anything someone in uniform is saying. We need to be honest about this. We need to win - win decisively - and be honest with the taxpayer. We are at war. Full stop. Let us hope it ends soon with as little cost in blood as possible - our blood. In his discussion about the Kearns decision, Admiral Harvey said a few things I find interesting in a larger context. “Nobody trusts or has confidence in leaders who believe they cannot be held accountable for what they do,” Harvey wrote. 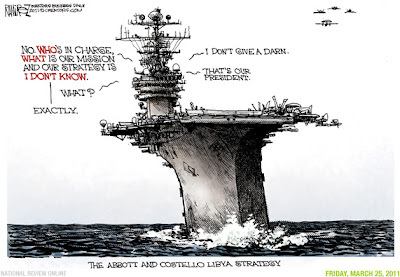 OK. Notsomuch for ADM Harvey ... but up the chain a bit - where is the accountability for DDG-1000? LPD-17? How about "Optimal Manning" and refusing to give COs the personnel and resources they need to pass an INSURV or even get their ships underway? Not the sacrificial lamb O6/7 fired for the actions of others. No, those who made the decisions to begin with. What about the outright fraud that took place at USNA as outlined in the IG report? Where is the accountability? We have Flag Officers who not only encourage - but practice racial self-identification fraud for personal benefit. I know we won't question that - but when we accept such behavior in our most senior people --- do not expect everyone down the chain not to see that example and apply it elsewhere. Instead of hiding (like classifying INSURV results) and happy-talk, why don't we hold our Flag Officers to the same level of professional expectation as we do our CDR and LCDR? That is a message that all will understand and will get you positive results down to the deckplates. Programmatic failures are just as deadly as not carrying out procedures that don't exist ... I think. Yes to accountability - but lead from the front. 1929: Hey ... Shep Smith is asking my questions I put out over at USNIBlog on the 20th ... no Hat Tip. 1931: OK, we are going after AQ, but we are also giving some of their fighters CAS in Libya. 1934: Wait ... is he talking about Castro and Cuba ... oh, nevermind. Libya. 1936: This would have been a nice thing to have had a week and a half ago ... but guess Rio was a bad venue. 1942: Is he talking about Saddam's action against the Shia in the south and Kurds in the north? Oh, never mind - Libya. 1949: We need a new term for this. It was never a no-fly-zone; more of a "we will kill you from the air while your countrymen kill you on the ground zone." 1940: President Clinton, call your office. 1945: This is a better part of the speech - but a little too Hamletesque. I wish he would focus on our national interest a bit more. 1947: That was R2P. That was also Obama embracing the Bush Doctrine. Welcome. When will ANSWER start marching? 1949: Oh no, the great hedge. YMBFKM. If you are not in this for regime change ... then what are we doing? 1950: I don't like all the "I, me, I." It is "we." 1952: Kaus is right - this is "humanitarian imperialism." Can we afford to do that is a world that is nasty, brutish and short? 1954: Where else are we going and with whom? 1954: The enemy of my enemy is my friend. It was nice though. 1955: Aren't we dictating and scoping right now in Libya? 1956: So, are we going to Burma, Zimbabwe, ... China next? 1957: We've only been playing global protector since WWI. I guess that is generations. OK, time for another drink. Fine to good speech - but almost two weeks late. It still sets a strange bar for military action. I still don't see my questions from the 20th being answered - well except for the first one. The opposition is advancing fine under our top-cover and close air support. So, what are your thoughts. Have at it in comments. I'm all over the place at USNIBlog. There is a bit of, "oops, oh crap" going on in the UK about all their budget cuts focused on Navy power ... but for now it is all talk. With a few hundred thousand people rioting in London demanding more give-aways from the government that it can't afford ... well ... there you go. The culminating effect of the Western Welfare State in a picture. Your "1,000 Ship Navy" gets underway. As dawn breaks over the home of the Royal Navy, one modern maritime legend sets sail for the last time and another awaits her fate. 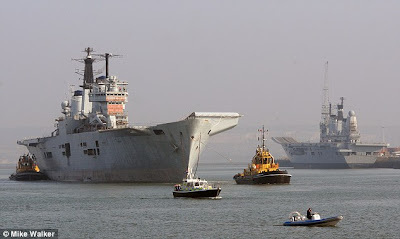 In the foreground, we see HMS Invincible, flagship of the Falklands War, leaving Portsmouth for good. 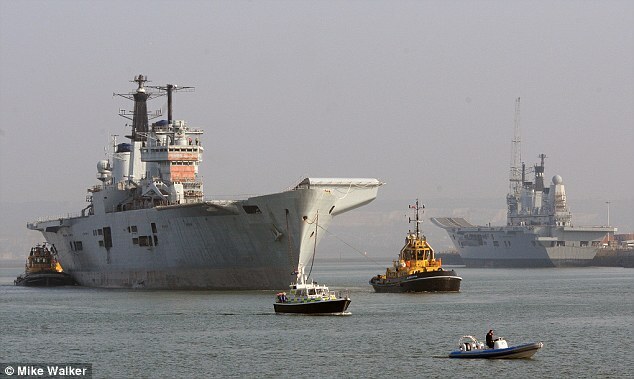 Behind her, Britain’s most famous aircraft carrier, HMS Ark Royal remains in her berth until a new owner is found: either a second-hand buyer or a scrapyard. ... and yes, I know - today is a bit of a downer day. True .. but such is the world this spring. Serious times. There is more to what is going on in Libya than what you think. It isn't all about oil - it isn't all about peace-love-n-understanding. No, something a bit more basic. Look at the demographics .... this is only the beginning. As part of a reparation deal with Italy worth $5 billion, Qaddafi agreed in 2008 to tighten border controls. That led to the number of Libyan migrants to Italy falling to fewer than 3,000 in 2010 from a record 37,000 two years earlier. In Malta, the influx dropped from a 2008 high of 84 boats bringing 2,775 people to 2 boats carrying 47 in 2010. Since mid-February, almost 225,000 people have fled Libya, with about 115,000 going to Tunisia and 102,000 to Egypt, the Geneva-based United Nations High Commission for Refugees said on March 10. About 2,000 went to Niger and 5,500 to Algeria. The distance between Valletta and Tripoli, 220 miles, is the same as that of Paris and London. That makes Malta, which joined the euro region in 2008, an entry point for those escaping the unrest in Libya. While arrivals to Lampedusa are shipped to the Italian mainland, immigrants arriving in Malta are held in detention centers for as long as 18 months. More than half of Malta’s 2.5 million-euro military budget goes to food and shelter for the refugees. Like I said when this started - we are stepping in a very dark room - where this all leads to, no one knows. What I will bet a paycheck on is that it won't be a happy place. Our buddy from Midrats and here, AT1 Charles Berlemann, Jr., offers a solid NCO perspective on what the USNI is and is not. Double posted over as SJS and USNIBlog - well worth your read'n time. The global strategic environment is at a pivot as the Arab world is in flux, the Western welfare states is staggering, and the world's economic center of gravity is shifting East. What ideas and concepts do we need behind, which new ones do we need to embrace - and what are the implications of what we are seeing now? Join EagleOne and me as we examine the Big Pixels for the full hour with our guest, Thomas G. Mahnken, currently Jerome E. Levy Chair of Economic Geography and National Security at the U.S. Naval War College, and a Visiting Scholar at the Philip Merrill Center for Strategic Studies at The Johns Hopkins University’s Paul H. Nitze School of Advanced International Studies (SAIS). In addition to his present position, he is the author of Technology and the American Way of War Since 1945 and other books. In previous assignments, Dr. Mahnken served as the Deputy Assistant Secretary of Defense for Policy Planning from 2006-2009. In that capacity, he was responsible for the Department’s major strategic planning functions, including the preparation of guidance for war plans and the development of the defense planning scenarios. He was the primary author of the 2008 National Defense Strategy and contributing author of the 2006 Quadrennial Defense Review. He led an interagency effort to establish, for the first time in five decades, a National Security Council-run interagency policy planning body. Prior to joining the Defense Department, he served as a Professor of Strategy at the U.S. Naval War College. From 2004 to 2006 he was a Visiting Fellow at the Merrill Center at SAIS. During the 2003-04 academic year he served as the Acting Director of the SAIS Strategic Studies Program. His areas of primary expertise are strategy, intelligence, and special operations forces. Dr. Mahnken has held positions in both the government and the private sector. He served as Staff Director of the 2010 Quadrennial Defense Review Independent Panel’s Force Structure and Personnel Sub-Panel. He served on the staff of the Commission on the Intelligence Capabilities of the United States Regarding Weapons of Mass Destruction. He served in the Defense Department’s Office of Net Assessment, where he conducted research into the emerging revolution in military affairs. He also served as a member of the Gulf War Air Power Survey, commissioned by the Secretary of the Air Force to examine the performance of U.S. forces during the war with Iraq. Prior to that, he served as an analyst in the Non-Proliferation Directorate of the Office of the Secretary of Defense (OSD), where he was responsible for enforcing U.S. missile proliferation policy. Join us live if you can and join in with the usual suspects in the chat room, but remember, if you miss the show or want to catch up on the ones you've missed - you can always reach the archives at blogtalkradio - or set yourself to get the podcast on iTunes. I'm going to make you wall'er in 'muh culture for a bit, and take a break from all the serious stuff. Carolina Chocolate Drops from Durham, NC. Good stuff. Visit their site if you have time. Heard about these guys in Garden & Gun. If you want something from them with a different twist - check out their version of "Hit 'em up style." My afternoon was kind of like this - sometimes, the paying gig has its down points. 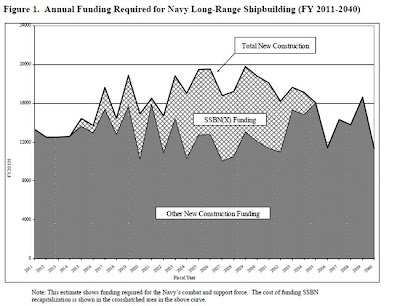 One day, all articles will start with the phrase, "Salamander started discussing this over a year ago...."
The U.S. chief of naval operations is warning the government to start heading off severe budget challenges for naval forces in the 2020s, when a surge of ships built in the 1980s will “age out” at the same time when the Navy will be trying to replace its strategic submarine and nuclear aircraft carrier fleets. The only thing that would make this article better would be if the CNO started calling it the "Terrible 20s" like we did early last year on Midrats and a few times here, well over a year ago. Bravo Zulu to Admiral Roughead in starting to beat this drum a little more. Last year he hinted at it here and there, but it has yet to stick. He needs to continue to beat it over and over and over. Stress the Terrible 20's. It is a branding and marketing thing. 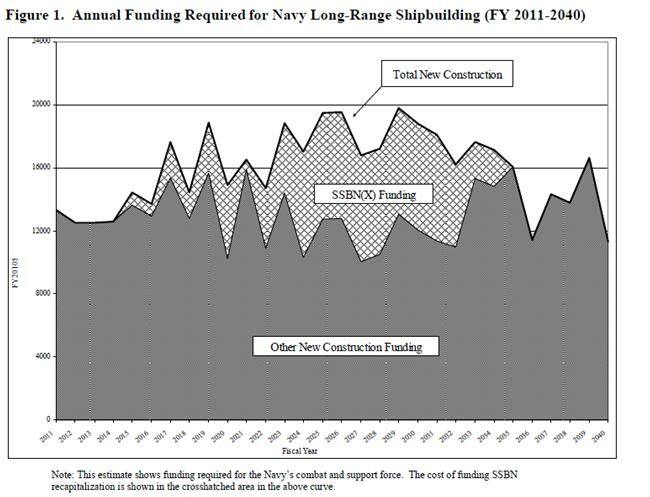 People like to look at decades - and as he knows better than I do - from a shipbuilding POV, 2020 is at our doorstep. This is so incredibly important to our Navy and our Nation. THIS topic is what needs to be our #1 priority - if I may humbly offer. One thing most know is that for every act of bravery we know of - hundreds more will never be known because no one is there to tell the story. From a story many have forgotten - clues have gathered to a man who met his calling earlier than he would have thought. 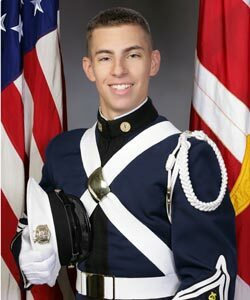 VMI VATech Cadet Matthew Joseph La Porte. The body position and the wounds of Matt La Porte indicate that he had maneuvered around the room from his desk in the rear right of the classroom and attempted to attack Cho across the front of the classroom. Attired in his uniform, he fell just short of the door, lying next to the blackboard facing where Cho would have been standing while shooting. Matt’s arms were outstretched in a classic football tackling position. He had eight bullet entry wounds – fingers, thumb, arms and shoulders and to the front of his head – that could only have been sustained while moving forward on the shooter in the very position he fell. The Archangel team believes there is no other conclusion that can be drawn from the physical evidence other than that Cadet Matthew Joseph La Porte died in a charging attack on Seung-Hui Cho. Hat tip Andrew and CPS. I'm trying to make heads or tails of it over at USNIBlog with SACEUR's announcement of MCC Naples taking over the Maritime portion of the Libyan operation. One of the more pathetic secondary effects of the Diversity Industry's diktat is that is warps otherwise solid, intelligent minds into a twisted logic train that makes the writings of Soviet citizens' self-criticisms seem logical and clear. Of course the primary effect of the Diversity Industry's actions is the promotion of sectarianism and discrimination - but a secondary impact is a reward system that encourages the weak-minded to parrot diktat for professional gain. If you want to have a "Ref. A" during the Commissariat's "Accountability Reviews," then you need something to show them. "Admiral, Admiral, Admiral ..... look at what one of my JO's did! No sir, it isn't patronizing at all! It is makes a clear connection to the power and strength we gain by promoting division! On top of it all - it is just so relevant to the second decade of the 21st Century. Just read what we've contributed to the celebration of 100 years of Naval Aviation!" Behold, the addled lickspittle writes! On January 15, 2009, U.S. Airways flight 1549 landed on the Hudson River and all 155 passengers were safely evacuated. The flight attendants on the flight had from 27 to 39 years of experience. The men and women who fought for equal rights in the 60s and 70s may not have been able to prove at the time why their right to do the job they loved mattered to the airlines, but more than 20 years later those 155 passengers owe some small measure of thanks to them for ensuring they had such an experienced and diverse crew when it mattered most. We may not be able to always articulate why diversity matters, but experience has taught us that we are more effective and safer and the mission gets done more often, if we learn to use everyone we have to their maximum potential. Shutting people out and shutting people down didn’t work in aviation and it doesn’t work in the world in general. OK, that didn't work for you? Crew resource management, often shortened to CRM, is simply the effective utilization of all available resources to achieve efficient, safe flight operations. As a pilot, I often struggle with trying to explain to people why diversity matters in aviation, but when I read the definition of CRM, I think “that’s it”…diversity is CRM. Really? How does it play into career ORM? There are a couple of more examples in the article as well that ... well ... will make you glad you don't fly with her. One of her comments Marie Curie and - ahem - Mother Salamander would find particularly insulting. Corrupt post-modern theories create distorted lenses to see life through. The picture they produce is just as messy. We've fallen down such an interesting rabbit hole in comments over at my post on USNIBlog that I think I want to bring it over here as a post. All sorts of geeky fun. To the 1,000 Ship Navy, look what CNO Mullen had to say about it. Tell me how that differs from what we’re seeing in SIXTH Fleet right now. YN2, when the needs of nations and their national interests diverge from those of the United States, well, it’ll be just us. The 1000 ship navy is about the dumbest thing I’ve ever heard coming out of a CNOs mouth. He should know better. Byron. No it’s not. It’s the application of complexity theory at sea. The ‘fleet’ forms based upon common objectives, and dissolves away once those objectives are met. Looking at the myriad of ‘fleets’ deployed fighting piracy right now, such an arrangement is in the spirit of the CAS Navy (I am not calling it the 1,000 ship navy any more, cause that’s horrible branding) (CAS = Complex Adaptive System). So is how things have thus far come together in the Med. If there are going to be increasing numbers of random events like the ‘Arab Spring’ then the ability to form momentary alliances is a vital need. But, the ability to pull such an arrangement off is with the guys who wear suits, not uniforms. We have the C4ISR that can make such arrangements work (though, not perfectly). Politically, it might be dumb. But, operationally, it’s not dumb at all. Pretty words, YN2…but does not stand up to the reality of nations do things in their self-interest. As the national policy goes, so does their Navy. Yes, there is a semi-official anti-piracy fleet in being that is multi-national in make-up. If nation “X” decides that it’s in their self interest to leave the pirates alone and just flat bribe them yearly (yes, it’s been done before) then kiss those ships good-bye. If nation “Y” decides it’s had enough of of piddling with pirates and starts killing them wholesale (the other end of the spectrum) we will divorce ourselves from them in a New York second. It simply wouldn’t look good on CNN or MSNBC, you know. The bottom line is that the only Navy you can truly count on, 100% of the time, is the one flying your flag. All the others are there only until it is no longer profitable or necessary to their needs. The formula for your CAS Navy is a lot more complicated than you think. To simplify what is a very complex DiffyQ – you have two variables; X & Y.
X is your mission capability ratio. Establish as a baseline a Flt IIA Arleigh Burke (X=1). Just for an example, let us say that in your CAS Fleet you have a USA Flt IIA under USA ROE. That gives you (1×1=1) operational unit. For another example using completely made up ratios, let’s say you have a MEKO from NATO nation Z (X=.5) that is operating under its nation’s ROE with the standard caveats that apply (Y=.2). That gives you (.5x.2=.1) 1/10th of an operational unit for the CAS Fleet Commander. In your PAO picture, you have two warships steaming together playing Global Task Unit for Good. In reality though, you do not have two warships … scratch that, make it “naval ships” … from the Commander’s perspective he has 1.1 ships. 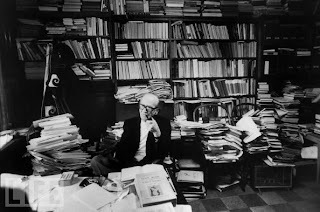 Theory is nice – but such theories have been around for centuries; and the mathematics of those theories have been as well. Review the difficulties of the ABDA Fleet in the south pacific and the post-Dunkirk Anglo-French naval coordination for examples of how the math can be a challenge and you need to respect the exquisite and delicate nature of the CAS Fleet theory. Allies are nice garlands to have – but cannot be relied on with an equal basis as national assets – never have, never will. The closest we ever had were Royal Navy units in WWII and Korea – and even then X=.9 on the best of days, Y=.8 on most. You do the math from there. No harm; no foul – just reality. Does the NAAA really care about children? If they did - they would find some way to get a 12-yr old to fly in the back of the Blue Angels' #7 bird. Just saying ... there is always a place for redemption. For the children, of course. Whose access to oil again? Way too many people are inwardly focused not just on themselves, but on their nation. Due to our size and relative isolation - not to mention our national character - Americans tend to have this problem a bit more than the global average in the developed world, methinks. Few are more obnoxious about this than the anti-everything crowd - especially WRT who consumes oil. The Economist has a great article on the challenge you owe to yourself to review in full - but ponder the little graph on the right. It speaks a thousand words about who is using what - and where the trends are going. Why isn't China more involved? Simple; they really don't feel a "moral" reason to do anything for anyone as long as they get what they need. As for stability, they are content to be free riders on the USA's work. If we want to borrow money from them in order to defend their interests - fine with China. Ok, his Task Force Uniform may be a train wreck .... but he seems to get it; especially WRT China. America’s cheerful assumption has been that although its ships are not as numerous as they recently were — 286 now, down from 594 in 1987 — there actually is a 1,000-ship Navy. That comforting figure aggregates all the navies of nations that have no agendas beyond keeping the great common orderly. This includes the “near seas” — the Yellow, South China and East China seas. But such “far seas” as the Indian Ocean also are crucial to China’s global commercial reach as a hyperactive importer and exporter. Disciples of Mahan want a national capacity to protect their nation’s interests there. BTW, if you missed the Midrats episode where we had Toshi and Jim on for the full hour - well get a cup of coffee and settle in. Click here. Well worth your time. An Air National Guard unit based out of Illinois is heading to Libya to help fight against Colonel Gaddafi. "I am proud that the National Guard is able to play a part in curbing the atrocious violence against Libyan civilians by their own government,” said Maj. Gen. William L. Enyart, the Adjutant General of the Illinois National Guard, in a statement. 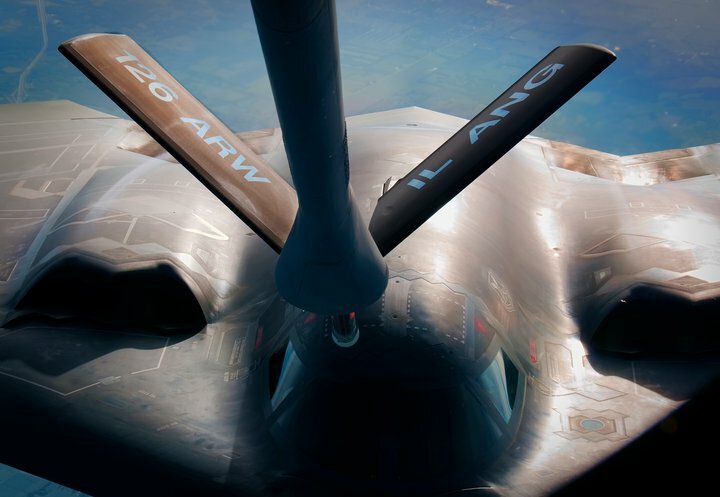 The unit based out of Scott Air Force Base in southwest Illinois specializes in refueling aircraft in mid-air and will join the mission to establish a no-fly zone over Libya. The 126th Air Refueling Wing and its 906th air Refueling Squadron fly the KC-135-R Stratotanker, which is the military version of the Boeing 707. As I've covered here and over at USNIBlog - the distances from land bases to Libya, sit CAP and then return, will require a lot of tanking. There are only two ways we can mitigate the tanking requirements. First is what I hope happened; the attacks over the weekend eliminated most of Gadaffi's fixed and rotary wing air. That way, the requirements for aircraft, number wise, will be small. The other is that the rebel forces can with the top-cover advance on Tripoli and end this soon. It doesn't look like any Carrier air, outside the 35 multirole aircraft on the FS CHARLES DE GAULLE and the USMC Harriers on the USS KEARSARGE will be involved in this ... yet. If this drags on, then in time I think you will start to see the weak sisters start to peel off. When that happens .... a large deck Carrier gets a lot more handy. As a non-USNA guy, internal cute little rituals really don't mean much to me - but little things can be indicators of larger trends. When for the most thin of reasons the greasing of Herndon was abruptly ended last year, it worried me as it represented a pattern of action we have seen a lot in our culture over the last few decades; a trend that is injurious to the body as a whole. The grease has been re-ordered. “Conducting the ceremonial climb in the same manner as so many previous classes helps to instill spirit and camaraderie among plebes and better links them to the many classes that have gone before them,” said academy Superintendent Vice Adm. Michael H. Miller. It is a shame last year's class will always be an odd-ball, but that isn't their fault. No, this isn't an awsome idea for a Valour-IT fundraiser ... this is a "close but not quite" outline of the next episode of EagleOne and my talk show, Midrats. In the small world of the Navy blogosphere, when you think of Japan one name should immediately come to mind; Skippy-san of the blog FarEastCynic. Though most know Skippy by his "interesting" perspective on some of the "interesting" parts of life - what he also has is a good feel for the Japanese, and it is that part of this quasi-Renaissance man that we are going to tap in to. Join EagleOne and me as we explore the serious side of the Navy blogosphere's famously infamous Skippy-san to talk about the very Japenese reaction to their earthquake-tsunami-nuclear meltdown national nightmare, and how the Navy and its relationship with the Japanese people is working through this challenge. Staying with the 13XX side of the Navy, but with a slight pivot, for the second half of the hour we will be spending out time on a lighter subject - remembering the funnier side of Naval Aviation with Bob Taylor to talk about his new book, Getting Our Wings — Tales from Naval Aviation Flight School, that looks at flight training in much the same way as his previous book did with Marine Corps in A Few Good Memories: Tales from USMC Boot Camp . If you want a summary and update on the Libyan strikes - I've got a post over at USNIBlog on it. Ummm ... so this ideal WWII wardroom? This is what we want the post-Honors Navy to be? Click for a clearer picture. The guy in the background in the all white uniform and cover might think differently. What about the No Fly Zone - Libya? Well - I'm 'a ponder'n over at USNIBlog on it. UPDATE: Via the BBC - the wages of delay - note the map. There are your challenges (click for larger). Simple - you act like a woman. A fearless, intelligent, self-assured woman. Wow. Just wow. What a powerful and wonderful woman. All freedom loving men of Pakistan and the Islamic world should hold their manhood cheaply; as they have been measured and found wanting. Pakistan needs a million men who are half the man Veena Malik is. Bravo Zulu Veena, and watch your back. Yes - the gift that keeps on giving, LCS. Just a ..... crack'n good time! Lockheed Martin Corp.'s first new warship for operating close to shore developed a crack as long as six inches through its hull during sea trials, prompting a U.S. Navy investigation of the design. The Navy is analyzing the crack on the USS Freedom, which is homeported in San Diego, to determine if changes are required for future Lockheed Martin hulls, Naval Sea Systems Command spokesman Christopher Johnson said Thursday in an e-mail. This includes reviewing "the design, construction drawings and welding procedures," he said. During a heavy-weather ocean trial on the USS Freedom in mid-February, he said, sailors discovered a six-inch horizontal hull crack below the waterline that leaked five gallons an hour. Inside the hull the crack measured three inches. It originated in a weld seam between two steel plates. The ship returned to its home port in San Diego, avoiding rough seas, after the commanding officer judged the leak rate "manageable," Johnson said. Smaller cracks that indicated welding "defects" showed up in the welds of the vessel's aluminum structure during sea trials last year, Johnson said in his e-mail. Glad this made it into open source. With the news of this week, there is only one Fullbore I can think of - the Japanese engineers and workers who have made the call. Despite the dangers, the Agence France-Presse news agency reported staff from TEPCO and other industry firms were volunteering to join in efforts to stabilize the reactors. Keiichi Nakagawa, associate professor of the Department of Radiology at University of Tokyo Hospital, put it starkly: "I don't know any other way to say it, but this is like suicide fighters in a war." Like the Soviet engineers and workers in Chernobyl - they go in knowing what they are doing. Why do they do it? For the same reason so many of the people in the military make FbF - they do it for their friends, co-workers, and neighbors - but more than anything else, they do it because it is the right thing to do and it must be done. It took only a few minutes for me to feel like I knew these guys and what makes them tick. Their world, basically, is a world of trucks, chicks, strong personal loyalties and vague apprehensions for their future – the kind of world Springsteen has made a career singing about. Their world is about to change, however, and abruptly. With no warning other than an ominous rumbling noise, and their house shaking, the Eckert boys and their compatriots wake up one morning to see Chinese paratroopers dropping out of the sky in a massive, thunderous air assault. It’s a genuinely frightening, gut-wrenching sight as transport planes disgorge an endless number of Chinese soldiers into the skies above this otherwise quaint town. At one point, an American missile hits one of the planes – and the plane’s fiery wreckage crashes right into one of the houses. Reality is suddenly hitting these teenagers in a big, 9/11-sized way. Yes, the Red Dawn remake inbound. Oh, this sound familiar (spoiler warning)? We eventually learn that the Chinese have used advanced electromagnetic pulse weapons to disable our electronics and communications. Chinese systems are adapted to being immune to the pulse. We also learn that the Chinese are “here to collect” on the massive economic debt America owes them. Like "V" and the last season of "Battlestar Galactica" - I am sure I will be disappointed - but why not smile anyway. I won’t even start to discuss the UN route – as to get to that point is just too difficult and like Darfur, by the time someone can craft a deal, there will be no one to save. Anyway, really? I still may be right, as the rebel forces are left mostly with Benghazi, and Gaddafi's forces ready to eliminate them. The United Nations authorised military action to curb Libyan leader Muammar Gaddafi on Thursday, hours after he threatened to storm the rebel bastion of Benghazi overnight, showing "no mercy, no pity." "We will come, zenga, zenga. House by house, room by room," he said in a radio address to the eastern city. Al Jazeera television showed thousands of Benghazi residents in a central square celebrating the U.N. vote, waving anti-Gaddafi tricolour flags and chanting defiance of the man who has ruled for four decades. Fireworks burst over the city. Gaddafi had warned that only those who lay down their arms would be spared vengeance to be exacted on 'rats and dogs'. "It's over. The issue has been decided," Gaddafi said. "We are coming tonight...We will find you in your closets. You reach a point where everything is over but the killing - and the air battle may be done. The rest will be done how it always is - by a young man with a rifle taking land and killing opposition. Ten of the Council's 15 member states voted in favour of the resolution, with Russia, China and Germany among the five that abstained. There were no votes against the resolution, which was co-sponsored by France, Britain, Lebanon and the United States. "We stand on firm ground. We will not be intimidated by these lies and claims... We will not settle for anything but liberation from this regime." To do CAS right - someone on the ground has to the targeting - otherwise you are ineffective or messy. This will need to be watched. The hour is late - the promise has been made - credibility is on the line - let's see the execution. So far - looking interesting. Even the Canadians are on the move. 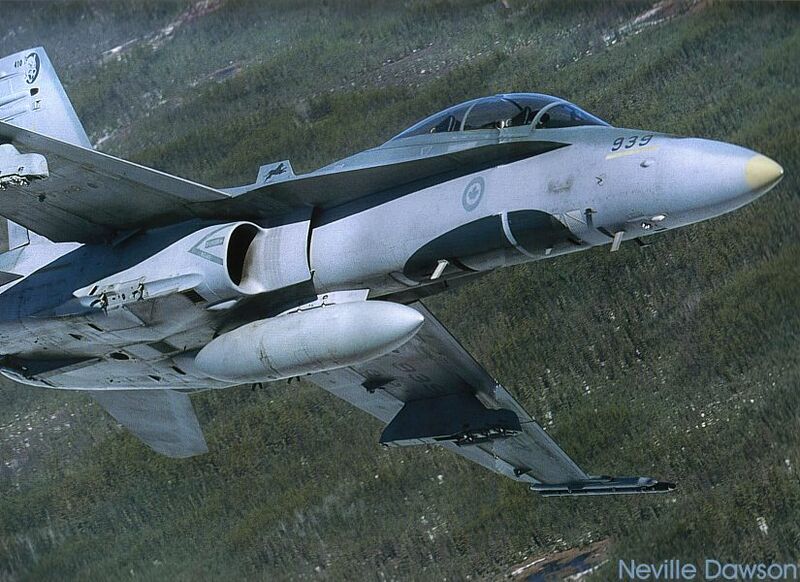 "The Canadian government has made the decision late today that Canada will send six CF-18 fighter jets to join the Americans, the British and the French and other countries that will participate in imposing a no-fly zone," CTV's Ottawa Bureau Chief Robert Fife reported Thursday. The jets will be based out of Italy and could be there as soon as Friday. Again, the hour is late. I pray good leadership; good ROE; good follow-through. Good luck to those going forward - we are stepping in to a dark room; again. ... and the French will lead them? France believes there is enough support at the U.N. Security Council to pass a resolution on Libya on Thursday and military intervention could take place within hours of that, senior French diplomatic sources said. Any action could include France, Britain, possibly the United States and one or more Arab states, the source said. "It would be surprising if there was a veto from one of the permanent members. We are convinced we have the nine votes," one source told reporters. "Once the resolution is voted, an operation could start within several hours." The source said Paris wanted to host a three-way meeting on Libya in the next few days with high-level representatives from the European Union, the African Union and the Arab League. Vote is taking longer ... but this is the UN. A no-fly zone in Libya?